Album Hair is proud to support a green philosophy. We have partnered with socially conscious and environmentally friendly companies to help reduce our carbon footprint while still providing our guests the highest quality hair care products and services. 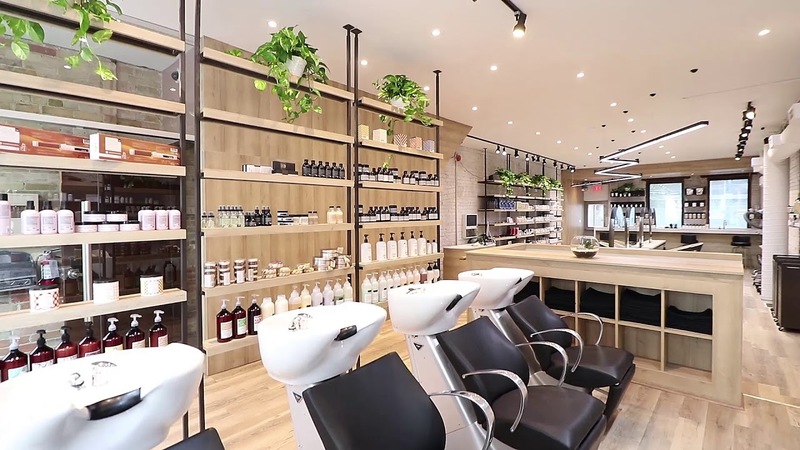 A modern contemporary studio dedicated to providing our clients with the best in hair care and trends so that you’re left feeling happy and confident with every visit. Dat, along with his team of professional stylists are highly talented and knowledgeable in the latest with hair styles and trends tailoring it to fit each unique individual, perfectly. Balayage is a French word meaning to sweep or to paint. It allows for a sun-kissed natural looking hair colour. . Whether you’re looking to change length, style, fringe or more, our stylist will help you find the look perfect for you. For hair at any length and texture our trained stylist deliver amazing results for that perfect blow-out look. Photographer: Kim Akrigg — with Kevin Murphy and David Glover. All Haircuts come with a Consultation, Wash and Style.. Whether you have work to do, or you just prefer a private and quiet setting while having your hair done, Album Hair is happy to offer the use of a private room for all your hair needs. Bookings for the private room are available now. Contact the salon today for more information, or to book your next appointment! To request a consultation with our hairstylist, a non-refundable deposit of $25 is required. This deposit will be applied to the service total upon completion of the appointment. *Additional charges for the extra colour used, toner, Olaplex.